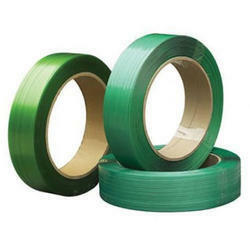 We are a leading manufacturer and supplier of Strapping Tape. Strapping tape is a heavily reinforced adhesive tape that is used to seal containers for shipping. With an objective to fulfill the ever-evolving demands of our clients, we are engaged in offering a wide assortment of Box Strapping Tape. Filament Strapping Tapes available with us are developed from polyester film and glass yarn that are coated with hot melt adhesive or solvent. With the same, we offer two kinds of backing with Adhesive Filament Tapes that are Straight Line Fiberglass (mono) and Mesh Fiberglass (cross). Strapping Tapes are available in different finish widths, thickness as well as length options as per the specific requirements of the customers. Easy to use and lightweight in finish, these strapping tapes are tear resistant, thus providing for durable, strong and tough packaging. We are a known name in the industry engaged in offering a wide array of Strapping Packaging Tape to our clients. 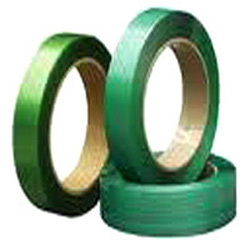 we are engaged in offering a wide range of Packing Box Strapping Tape. We offer a wide variety of strapping rolls which are utilized at a various occasions and also on the demand of the client. We are offering a wide range of Tenax Strapping Tapes for Packaging Industry to our esteemed clients. Our offered range of products are widely demanded by our clients at various market leading and affordable prices. we are the leading manufacturer of Strapping Tape in chennai , looking enquiries for india. We are one of the most reliable companies in this domain and are into offering Pet Strap Tape.